I started the weekend with a short list of things I wanted to accomplish/do. As you know, things do not always happen according to plan. We actually had NO plan this weekend, which kind of drives me insane because I like to have some organization instead of floating. Regardless, we got almost everything done that I wanted/needed to, even though we didn’t come up with a schedule. Here’s what we did! –Make breakfast casserole. This got pushed to tonight (Monday), but it is happening. –String lights on our back porch. I enlisted Josh’s help, and it is so beautiful. The only problem is that we are basically in the woods, and every single bug in the state of North Carolina came to our porch while I was sitting out there. I have a bug candle… any other ideas? It was INSANE. 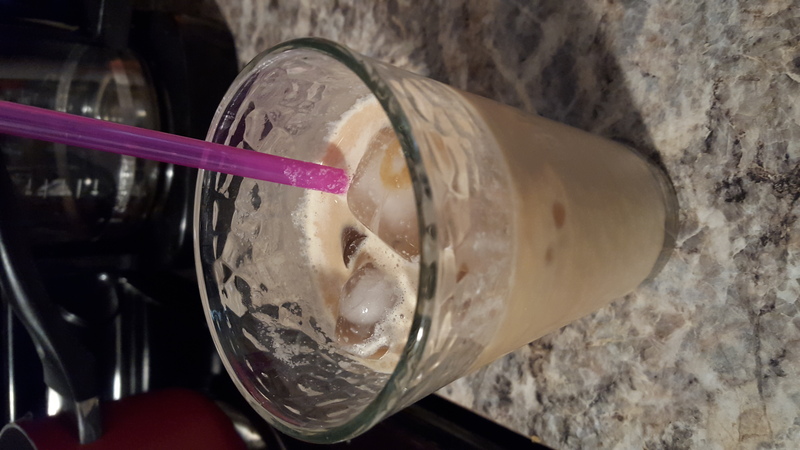 –Try my hand at cold brew coffee (without a French Press since I don’t own one). Ok first of all, read your instructions. I made it a lot messier than it should have been, truthfully, because I put the water in first, and the grounds second. *face-palm* So when I tried to filter it, the grounds dumped all over me, the sink, everything. ((Uuuugh)) BUT I ended up with about 2 cups of coffee… concentrate. Need to reiterate, again, how important it is to read those instructions. It makes COFFEE CONCENTRATE WHICH MEANS IT NEEDS TO BE DILUTED AND IF YOU DO NOT DILUTE IT YOU WILL GO INSANE. Saturday I made my mistake… but Sunday morning my coffee was wonderfully diluted with water and creamer and it was divine. Also, I made a second batch and it was a lot less messy! –Something crafty. Ok well this didn’t happen exactly like I was picturing… I was thinking painting. 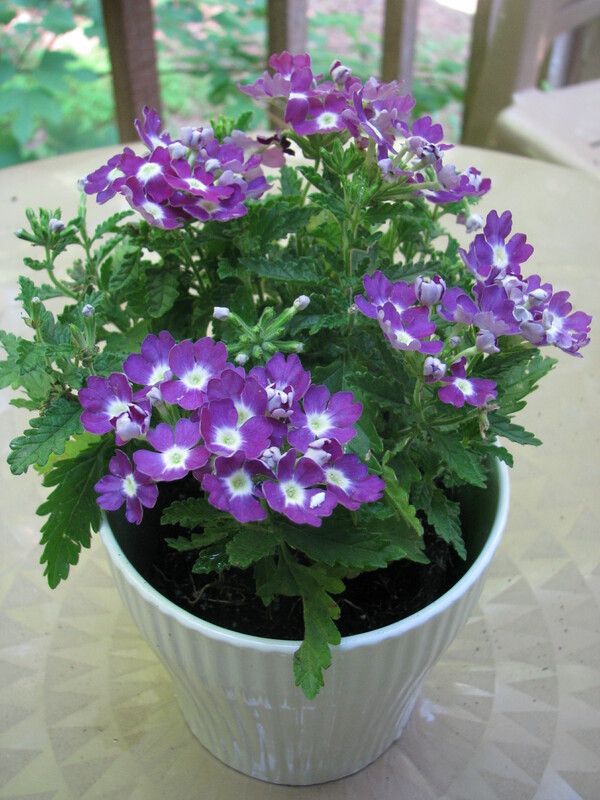 But, I enjoyed making the back porch beautiful! –Lip Sync Battle. We did this. We filmed this. No one will ever see this. It’s hilarious, and the angle of the camera is… let’s just say less-than-flattering. – Josh and I upgraded our phones! We knew our upgrade date was soon… so we checked on Saturday. Low and behold, Saturday was the first day we could possibly upgrade. We talked about waiting, but decided there was no reason to. We figured we would have to spend money for the upgrade, and we were planning on getting Galaxy S5s to save some money. At Best Buy, we found out several things: that we hit a two-day promotional sale… $100 gift-card if you bought a new smart phone. Plus Verizon is doing away with the 2-year contract and your monthly bill is part paying off your phone, and part traditional bill. All in all, it meant that it was actually about the same amount to get the newer phones! The $100 gift-cards covered all the phone costs, plus a case, and we had gift-cards left over…. so we bought 3 Disney movies. All in all, we got 2 Samsung Galaxy S6s, 2 cases, and 3 Disney movies for $13. We were stunned. What timing, and what a blessing! -Downton Abbey. Aaron and I finally got back in Downton Abbey. Ahh I missed Downton. I’m so thankful that Aaron can enjoy Downton with me, since Josh honestly isn’t interested. -The guys cooked dinner on Saturday night. Y’all… it was amazing. 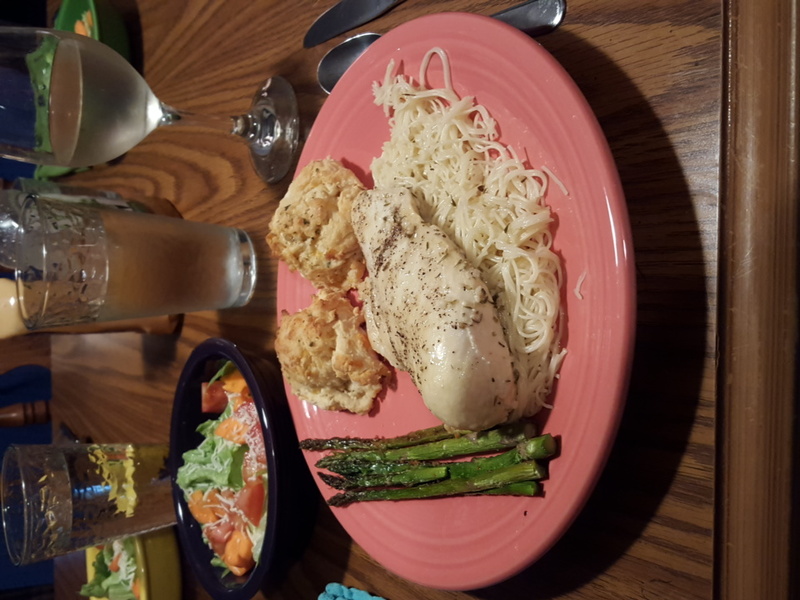 They made lemon garlic chicken with angel hair pasta, cheddar biscuits, asparagus, and salad. I couldn’t eat all of it, so I saved some chicken for a big salad (which was also delicious). It was so nice to enjoy a nice meal that I didn’t have to make and so nice to see them working together. I am thankful for a weekend of unexpected blessings: phones, flowers, Downton, watching The Office, and long hard talks. 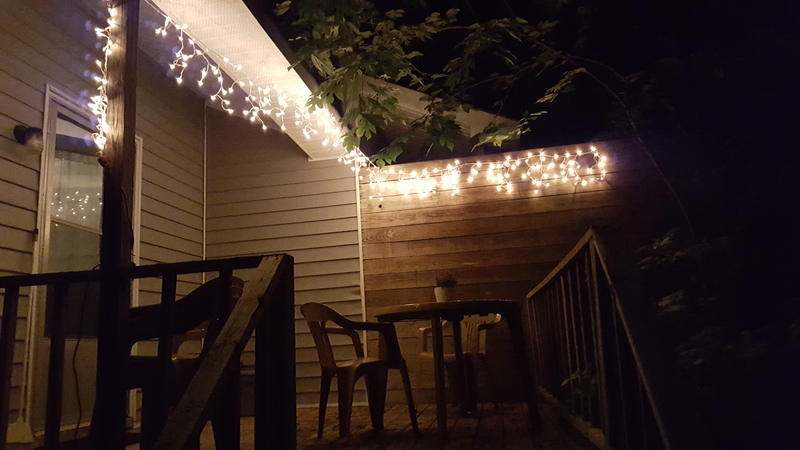 We are in a difficult season, and it is so important for me to list things I’m thankful for, like homemade iced coffee and string lights on the porch. 🙂 I’m looking forward to 5 O’clock and making that breakfast casserole with you.